Finding the mistake in the given picture is a very good visual challenge. Most of the puzzles of this kind does not require any knowledge but can be solved with just your visualization. 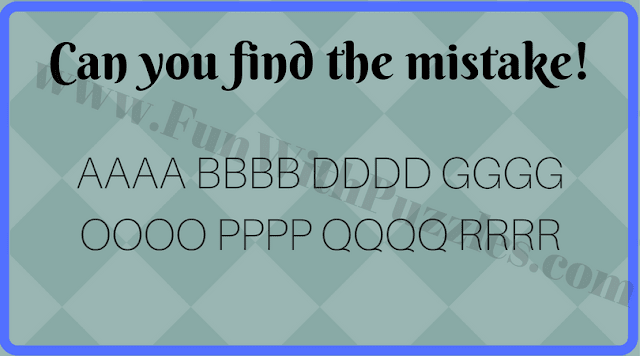 Some of the puzzles however in this type require the basic English alphabets knowledge and somehow may require out of box thinking to find the mistake. However, most of the puzzles in this category are language neutral and will require your visual perception to solve these puzzles. There are many mistake puzzles on this website. If you liked these puzzles, don't miss to explore similar puzzles on this website. 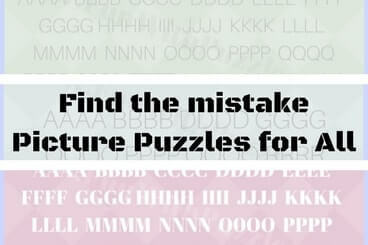 Today's find the mistakes puzzles are both for children as well as adults. In all of these puzzles, there is some minor but significant mistake in the picture. 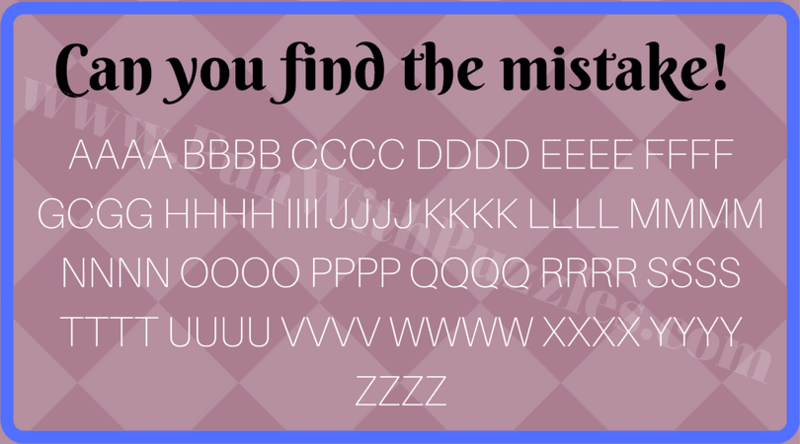 Your task is to find this mistake as quickly as possible. There are some very easy puzzles and there are some very tough puzzles. However, in the end, it is up to individuals' ability to judge the difficulty level of these puzzles. There may be some puzzle which kids may be able to solve very quickly but it will take a long time for adults to solve these puzzles. Let us see how many of these puzzles you can solve irrespective of your age :). 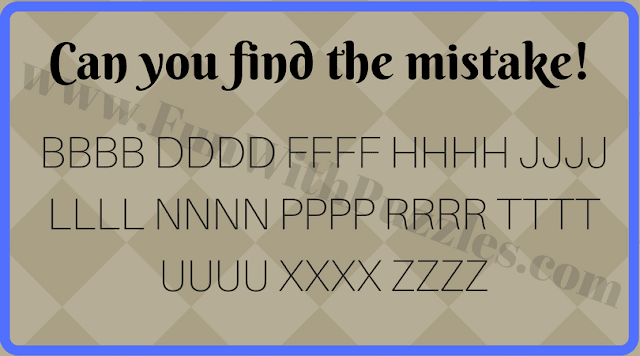 Let us start with very easy and quick to find the mistake puzzle. For some people, this puzzle may be very easy but for some people there will be nothing wrong in this puzzle. 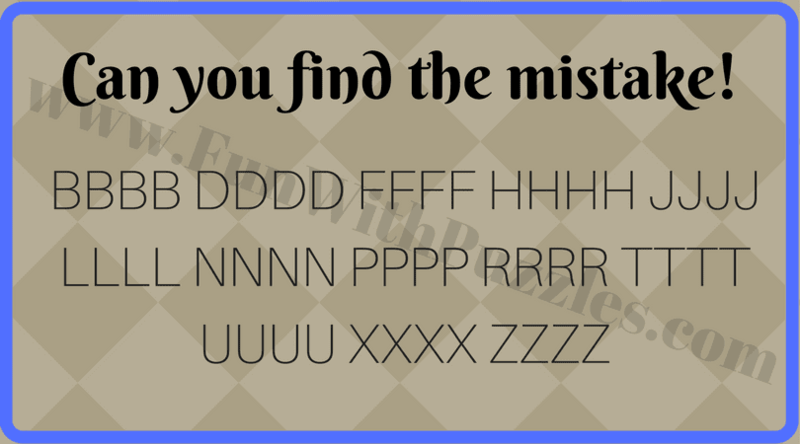 So can you find the mistake in this puzzle quickly? Next puzzle is a very easy puzzle. This puzzle is purely a visual puzzle. If you have good observation power, you will be able to solve this puzzle very quickly. So let's test how good is your observation? If you are able to solve the previous two puzzles, then this one will again look easy to you. This is again an observation brain teaser and will test your observation skills. 3. 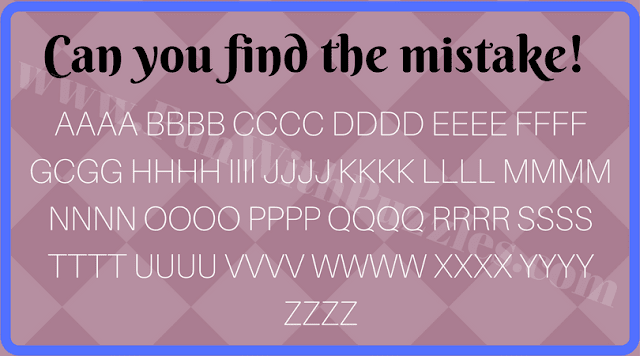 Will you be able to find a mistake in this? Next one is a tricky one. This puzzle is a combination of logic and observation. Some alphabets are mentioned in this picture puzzle. All but one follows a certain pattern. So your task is to find this odd one out which does not follow the pattern. Let us see how fast you will be able to find which series is different from others? Next one is for genius people who has good IQ. This puzzle is test of your visual skills. Most of the people will say that there is nothing wrong with this puzzle. However very few will be able to find something wrong in this puzzle. Lets see if you able find the mistake in this picture puzzle?